Rose is back—but it’s not as you’d expect. Remember all those years ago when Russell T. Davies had an idea for a Doctor Who spinoff called Rose Tyler: Earth Defence? Well, now Big Finish is kinda sorta bringing that idea back to life, as part of a new series of audio adventures starring Billie Piper. Announced today by Big Finish, Rose Tyler: The Dimension Cannon will be a series of four audio dramas set between the events of “Doomsday” in Doctor Who’s second season—in which Rose was cut off from the Doctor seemingly for good on a parallel world—and “The Stolen Earth/Journey’s End” in season four—which saw an older and wiser Rose return after a series of dimension-hopping adventures to help the Doctor and his allies save the entire multiverse. Jackie, Rose, Pete, and Clive team up for The Dimension Cannon. It’s not the first time Piper has reprised her role as Rose on audio—she co-starred alongside David Tennant for a series of audio adventures last year. But it’s a wildly intriguing idea for a spinoff, nonetheless. Not only is it a fascinating time period to explore in Doctor Who’s recent history, but Big Finish is teasing a much more down-to-Earth tone for The Dimension Cannon, hinting that Rose won’t be facing monstrous villains and alien threats, but instead human stories in the face of the end of the world. It sounds like it could be a damn sight better than Earth Defence could’ve been, all things considered. 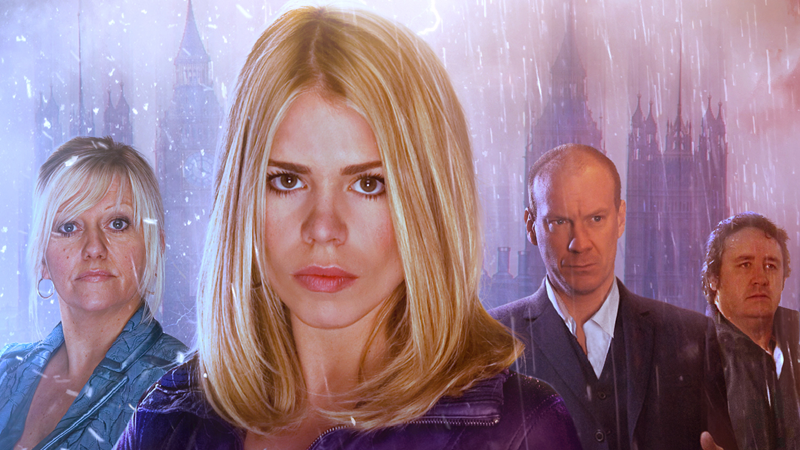 Rose Tyler: The Dimension Cannon is set to release in September 2019.